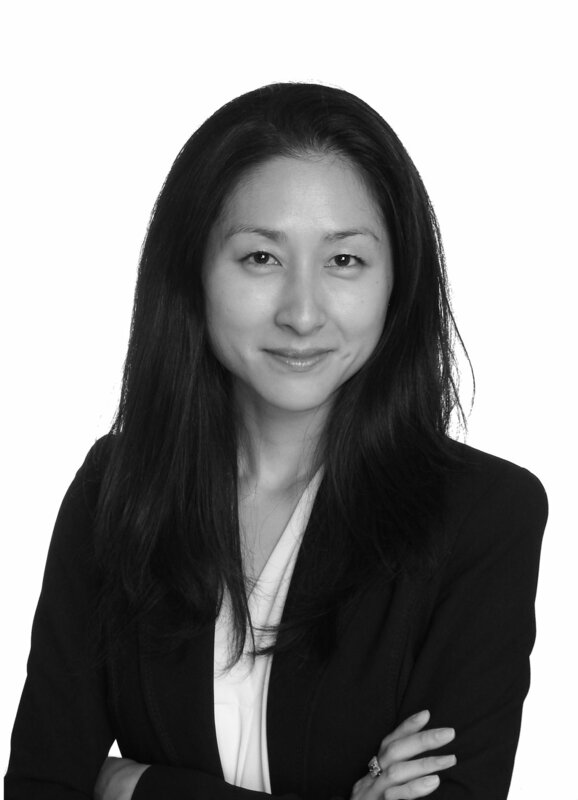 Bommy Lee is passionate about technology, innovation and healthcare. She is a former journalist turned communications/digital marketing professional, based in Paris, with over a decade of experience working in companies with global reach, from large multinationals to start-ups. She leads corporate communications at Cellnovo, an innovative Franco-Welsh medtech specializing in diabetes management. Bommy was born in Canada, went to high school in Korea, and now calls Paris home. Bommy, welcome to our WoW team! :) Tell us a bit more about yourself, your background and how you became interested in the world of technology. I come from a family of academics, engineers and doctors, so I broke from the ranks when I pursued a career in journalism and business. But here I am now completely immersed in the world of innovative medical technologies. At Cellnovo, we specialise in the delivery of insulin via a wearable micro-pump. While looking for information on other innovative wearables in health tech, I came across this community of trail-blazers and entrepreneurs. We’ve been involved in a number of artificial pancreas projects and it’s an exciting time because we are starting clinical trials to test what is considered the holy grail for people with type 1 diabetes – a way to completely automate insulin delivery and allow people to “forget” they have diabetes. These types of innovations could bring unprecedented freedom to people who live with chronic conditions. What was the biggest obstacle so far in your career? How about biggest achievement? Every challenge is an opportunity for growth, but that’s always easier to say in hindsight. When I look back, one of the biggest challenges was leaving my first love, journalism, and finding a way to drive my career forward within a different kind of high-pressure environment, the world of start-ups. In 2011, I joined a Paris-based start-up that was developing a disruptive medical technology with ambitions of creating a new standard of care within the industry. After a very successful IPO, and with a clear strategy for commercial expansion and a solid team, the future seemed bright. But things didn’t go as smoothly as expected. There was a constant sense of urgency that existed because our survival depended upon our ability to grow quickly and scale rapidly. That wasn’t happening. My co-workers and I were young, energetic and driven. We worked hard and put in long hours by choice. We were invested in the company’s success. But the pressure and pace was relentless. Uncertainty and instability contributed to a high turnover rate. During my five-year tenure, I had five different managers. A few times, I contemplated giving up, too. But adversity can also bring people together. Many of us formed close bonds and it fostered great teamwork. We learned to think on our feet, and do more with less. When faced with an endless list of urgencies, we learned to prioritise by asking “What will bring the most value today, right now?” These are the lessons I learned from working in a start-up, which continue to serve me today. Why is #WomenInTech and #WomenInBusiness movement important to you? Both women and men in tech and business are important to me. We should all be helping each other to advance innovative technologies and entrepreneurial businesses that can help people to live better lives. My mother, as a young immigrant in Canada, returned to school, taking night classes and fitting in her studies while raising three kids. Later, when we moved back to Korea, she pursued a career in an environment where working women were still not fully accepted. So, I feel strongly about women helping other women because sometimes, there are challenges that women understand better simply because they’ve already been there. I’m sure the same is true for men. I also have three daughters and I want to be the kind of role model my mother was for me. I want them to know that building a career is a choice, just as any other choice we make in our lives. I want them to know that they have the right to pursue their desires and dreams just like everyone else. And finally, every pivotal moment in my career can be traced back to a woman giving me an opportunity. They took a chance on me and I will always be grateful for that. So, it is important for me to give back in this way, too. How does the tech ecosystem look in Paris? Paris has a vibrant tech scene, or at least, the makings of one. Check out the efforts by the French government in recent years to make Paris the Silicon Valley of France, including The French Tech movement, launched in 2013 as part of a public policy to support entrepreneurs and innovators and attract greater investment to the country. There’s also the creation of Station F, by the renowned French businessman and serial entrepreneur, Xavier Niel, which is the biggest start-up incubator in the world, and more recently, President Macron’s €1.5 billion plan to make France a leader in artificial intelligence. These are all great initiatives, but many budding entrepreneurs in France tell me there is still a ways to go before Paris is able to attract the kind of investment needed to support a truly dynamic tech scene. France is not known for being a place of rapid growth and change. This may deter investors on the lookout for that next unicorn that will swiftly flourish and grow. On a cultural level, France may be known for its academic excellence and the caliber of its engineers but it has yet to teach its young citizens to take bigger risks. This is a challenge that needs to start in the way we educate our children, to be less risk averse and more creative. We need to nurture critical thinkers and free thinkers who have a secure base for testing out ideas and breaking the mould every once in a while. This is what Niel is attempting with his groundbreaking Ecole 42, a teacher-less coding school, that uses self-directed, project-based, peer-to-peer learning to give wings to France’s next generation of movers and shakers. These are the kind of efforts we can support to strengthen France’s tech scene from the ground up. What will be your main goals as Women of Wearables Ambassador in Paris? What will be the key trends in the tech and health tech industries in the next 5 years and where do you see it heading? Tech is transforming all aspects of our lives. This includes healthcare. The biggest movement I see today is around data. We have an unprecedented ability to access, gather, and analyze our personal data. In healthcare this is giving rise to new domains such as connected health, e-health, telehealth, and what some are calling the Internet of Health Things (IohT). With ongoing advancements in artificial intelligence and machine-learning, the potential for harnessing data to accelerate progress in medicine and healthcare in a more efficient manner, seem limitless. At the same time, there is growing concern around privacy and security, with proponents defending the protection of personal data as a fundamental human right. The debate is not over, but we are seeing policies like GDPR being adopted and these will have far-reaching effects in healthcare as in other industries. Second, as a society, we are increasingly preoccupied with our lifestyles and the impact it may have on our longevity and well-being. In health tech, this has translated into an expectation that everything be connected and “smart” so that we can monitor and analyze our daily routines, including what we eat (mobile apps), the number of steps we take (fitness trackers), how much sleep we are getting (connected mattresses), and even our emotional well-being (mood-detecting wearables). Products and services across all domains are now becoming connected, including our clothing, accessories, cars, household appliances and even our homes. Thus, healthcare devices that were primarily conceived and developed for disease treatment are expanding to broader applications in lifestyle management to meet the demands of consumers who increasingly want greater control, choice and involvement in their health and well-being. Third, in this shifting societal and industry landscape, our roles are changing. Historically, physicians have been likened to gods: All-knowing, indisputable authorities meant to be strictly obeyed for fear of grave, sometimes life-threatening consequences. Today, with access to massive amounts of information on the Internet, an individual can be equally, if not more knowledgeable than a doctor when it comes to the latest clinical trial, the latest treatment, the latest technology for disease management. Dr. Google has become, for many, the first point of reference when it comes to questions about health. So, our role as patients is also changing. From passive beneficiary to empowered actor, we are becoming experts, advocates and influencers. We now demand better treatment, more efficient care, and an increasingly personalized service. Our collective voice is being amplified, especially via online channels. Patient communities have become a powerful lobbying force. The diabetes online community (#DOC), for example, has become one of the largest social media network for a chronic disease. Active members of this community can impact perception of new treatments and technologies. This is a growing trend that anyone in the industry cannot afford to ignore. It is no longer sufficient for a medical device to be recommended by a healthcare professional. It must also appeal to patients, because patients are now deciders. Medical device companies like ours must offer products and services that go beyond functional, medical requirements. The value proposition must strike an emotional chord with its users. This is an area where healthcare has a lot to learn from other sectors that have historically been closer to the consumer need: How do we make a medical device, not only clinically desirable, but also socially desirable? How can it fit seamlessly into an individual’s lifestyle choices? Fourth and final trend: Hyper-personalization, or to take it a step further, individualization. While medical decisions are inherently functional and clinically-driven, some decisions are strongly linked to personal preference. In diabetes, the day-to-day management of the condition is very personal and closely tied to lifestyle. While an insulin pump is prescribed by a doctor, increasingly, it is the patient who ultimately chooses which pump he or she wants to use and how it is used in combination with other health management devices. Diabetes treatment is already highly personalized and will become even more so with next generation insulin management systems like the artificial pancreas because it is driven by individual biometrics and health data. This will appeal to a generation that increasingly wants this hyper-personalization: My personal biometric data informing my personal diabetes management, aided by my personalized artificial pancreas, so that I can pursue freedom and happiness the way I define it. If the artificial pancreas appeals to individuals through this idea of personal choice and empowerment, it will help to elevate the individual and bring emotional value to the clinical benefit. It will not be about the breadth of appeal, but about the singularity and intensity of an individual experience. Who are your 3 inspirational women in tech and / or business? Sophie Baratte, the CEO of Cellnovo, who was a role model for me even before I joined the company. I have gained so much from her mentorship and support. Her intellect is impressive, but it’s her humanity that inspire me. She is the kind of person who always seems to be managing a million things at once, and yet has time to stop and ask how your family is doing. Meredith Artley, who hired me as the first member of her digital team at the International Herald Tribune, my first job in Paris. Despite being a highly respected, leading voice in digital journalism, she remains down-to-earth, accessible and hysterically funny. I am honored to call her a friend. Alison Smale, who was the managing editor at the International Herald Tribune when I met her and the most articulate, astute woman I have ever met. Each week, we would film a weekly current affairs video called “The Week Ahead” in which she talked about the major world events on the radar. Each week, she would walk in, take a few breaths and deliver on the spot, in one smooth take, an intelligent commentary about the world and the significance of the events of the week. It was no surprise when she was appointed the Under-Secretary-General for Global Communications at the United Nations. I will always be in awe of her unmatched knowledge of the world and masterful ability to speak eloquently about any subject. I can’t pass up this opportunity to recognize my ex-professor, Kathryn O’Hara, who introduced me to the world of science journalism – in my mind, the marriage of two perfect worlds, which she embodied. And Chantal Dion, another ex-professor who imparted to me the beauty and complexity of the French language and who encouraged me to pursue my master’s degree at her alma mater in Paris.